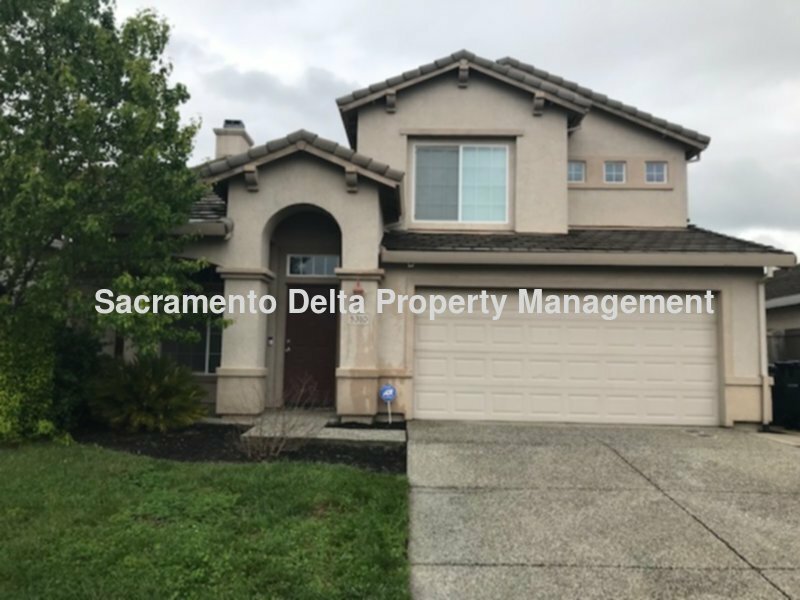 Beautiful 2-story home in Natomas. This home has a formal living and dining rooms. The kitchen is open to the family room which has a fireplace and has access to the beautiful backyard with a large patio area. There is one bedroom and bathroom with a tub shower downstairs. Upstairs is a Master bedroom with master bath that includes a soaking tub, shower, double sinks, and walk in closet. There are two other bedrooms and a hall bath with a tub/shower. There is a loft upstairs that has a closet and could be a possible 5th bedroom. This is a no Smoking home. This home will not take a co-signor or go Sec 8. In order to qualify you must have 3 times the monthly rent for income, 2 years of rental references or home ownership and good credit. The resident will be responsible for all utilities. One small dog will be considered with an additional deposit. No Cat. Please drive by the property prior to requesting an appointment to see the inside.